Jackson Pollock Posters listed in full throughout this page, with the best discussed in detail. The Deep is shown here on the left. Posters are great options for those wishing to enjoy abstract art in their own homes. Pollock is one of the most reproduced of all artists from the 20th century and this page covers some of the Pollock prints and posters currently available from approved retailers. The Art.com gallery orders prints and posters by popularity as default, which means you can quickly see those that others love first. 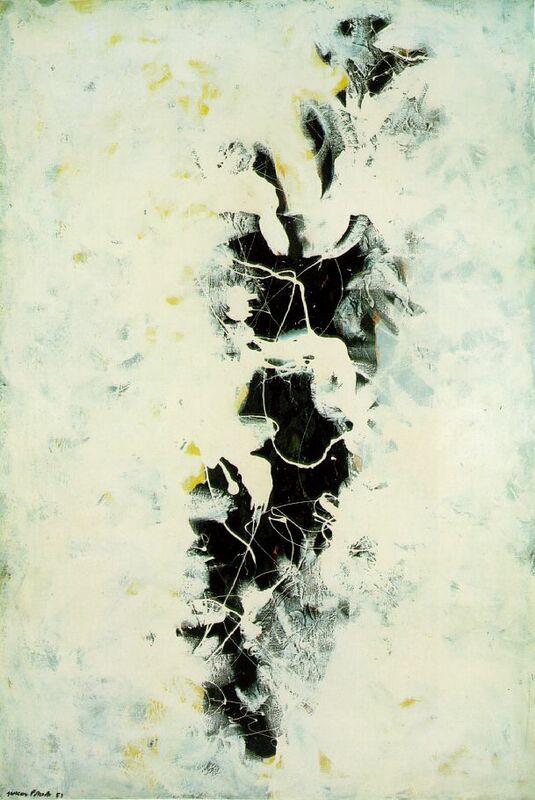 Typically this includes Convergence, the best known painting that Pollock produced, as well as other prominent paintings such as Mural, Blue Poles and The Deep. You will find a selection of sizes and finishes. Those looking for a professsional framed finish, will also find plenty of options there too. Listed below are some of the Jackson Pollock posters currently available from Art.com.